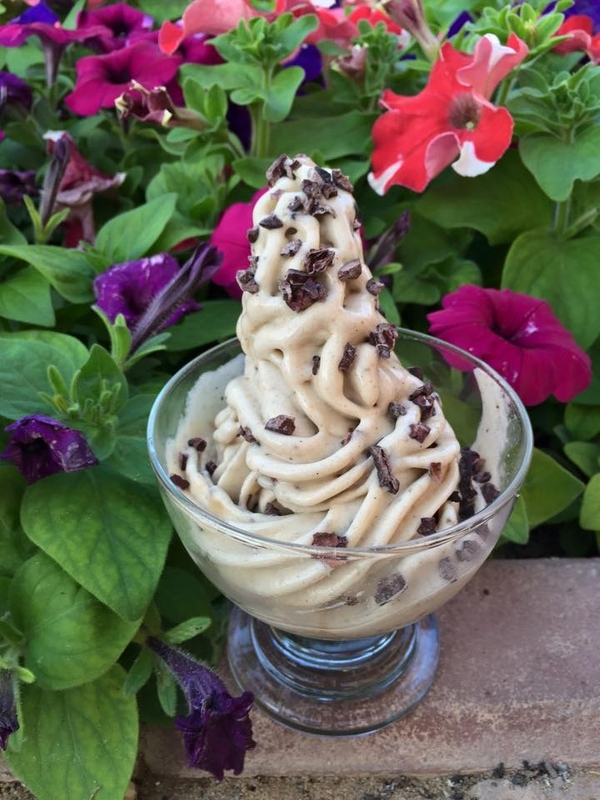 A healthy version of chocolate chip ice cream, easy to made, gluten free, lactose free and don't need a ice cream machine. Blend this 3 ingredients together in s food processor. I use a in a pastry bag fitted with a large star tip to serve the banana chocolate chip ice cream.